Does It Benefit Me to Pay Off Car Loans Quicker? Having a car loan hanging above your head can be drain on your monthly budget. Although there usually are monetary benefits to paying off your car loan ahead of schedule, you also need to consider how much money you'll have left over for an emergency after you pay off the loan. Many times, paying off your car loan early will save you money because your loan won't keep accruing interest. For example, if you have a $5,000 balance on your loan and you pay it off today, you won't have to pay any additional interest on that $5,000 like you would have if you had just kept making regular monthly payments. Especially on higher-interest loans, the savings can be substantial. However, watch out for prepayment penalties that stick you with an extra cost for paying ahead of time. These can negate some or all of the interest savings. Before you pay off your car loan, make sure it's not a simple add-on interest loan. Instead of charging interest as you go, like most car loans, a simple add-on interest loan calculates the amount of interest owed based on the size of the loan and the repayment schedule at the start, and then sets your payments accordingly. Paying off one of these loans early won't save you any money because the interest was added to the balance at the start of the loan. 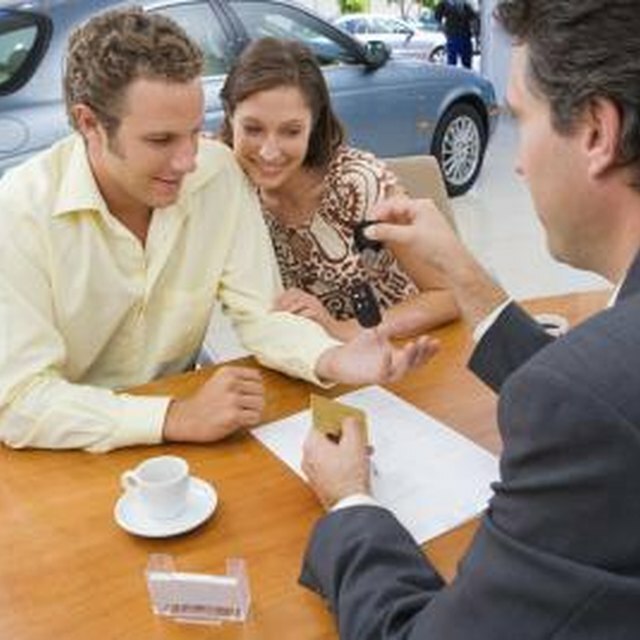 When you have a loan on your car, the lender often requires that you carry a certain amount of insurance to make sure the lender gets paid in full if your car gets destroyed. Otherwise, for example, if you owe $6,000 on a car and your insurance only pays you the $3,500 it's worth when it gets totaled, the lender could have a hard time getting that last $2,500. However, once you pay off the car, you have the flexibility to change your car insurance coverage to suit your needs -- not the needs of the lender. What Is a Revolving Savings Account? How Do You Calculate APR? Do I Need Collision Insurance on My Car? Should I Remove Comprehensive & Collision Coverage From My Car Insurance? Depending on the information in your credit report, paying off your car loan early might give you a boost, according to Cars Direct. You reduce the amount of debt that you owe, which accounts for 30 percent of your score. However, the benefit might not be all that much, according to Bankrate. When you pay off the loan in full, it goes from being an open account to being a closed account, which means it counts for less in figuring your credit score. Paying off your car loan early increases the amount of cash you have in your monthly budget because you no longer have to worry about those pesky monthly payments. However, that future free cash flow won't cover an unexpected expense such as a hospital bill or car repairs. So, if you would have to spend your entire emergency fund on paying off the loan, you might want to wait a few months until you have a sufficient cushion left after making the big payment. Bankrate.com: Will Car Loan Payoff Improve Credit Score? myFICO: What's In Your Score?